CHARLESTON, W.V. 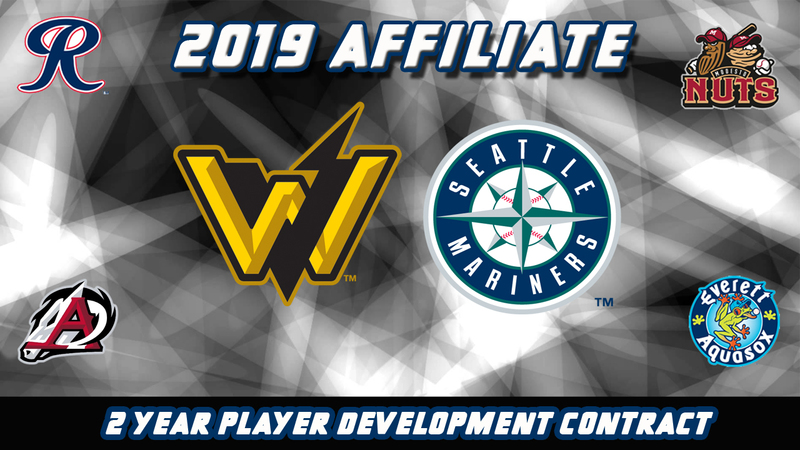 (September 24, 2018) - The West Virginia Power is excited to announce that the team has signed a new Player Development Contract through 2020 to become the Low-A South Atlantic League affiliate of the Seattle Mariners. The changeover to the Mariners marks the third Major League affiliate in Power history (Milwaukee, 2005-2008, and Pittsburgh, 2009-2018). "Joining the Seattle Mariners family is an exciting moment for our franchise," said Power Executive Vice President Ken Fogel. "The Mariners boast a minor league system filled with talent that we cannot wait to showcase at Appalachian Power Park throughout 2019 and beyond. While we are grateful for the 10 years spent under the Pirates' umbrella, we are excited to share this new opportunity with the city of Charleston and the surrounding fan base. We are confident that our partnership with the Mariners will bring unbridled success both on the field and in the community." "The Seattle Mariners are a first-class organization that we are thrilled to be a part of," said Tim Wilcox, Managing Partner of West Virginia Baseball, LLC. "Our fans have the opportunity to see the next wave of Mariners that could one day stand alongside Seattle greats, such as Ken Griffey, Jr., Felix Hernandez and many more." The Seattle Mariners have never been a part of the South Atlantic League, having been previously affiliated with the Clinton LumberKings and Wisconsin Timber Rattlers (formerly the Appleton Foxes) in the Midwest League prior to inking this contract with the Power. Fans can certainly look forward to names such as highly-touted prospects RHP Logan Gilbert, SS Noelvi Marte, C Cal Raleigh and OF Josh Stowers flowing through the Kanawha Valley very soon. "We are ecstatic to partner with the West Virginia Power," said Mariners Director of Player Development Andy McKay. "Our conversations with their leadership team immediately revealed that we have similar values and priorities. As with all of our affiliates, we will work to put the best possible product on the field with the goal of winning baseball games and playing meaningful games late in the season. Off the field, we look forward to our community service responsibilities and the relationships we will build with the fans." "The opportunity to partner with the West Virginia Power is truly exciting for the entire Mariners organization," added Mariners Executive Vice President & General Manager Jerry Dipoto. "The combination of quality, experienced baseball people and a beautiful ballpark in a capital city provide all of us with something to look forward to for 2019 and beyond. The 2019 season kicks off April 4, 2019, and full season and 25-game ticket packages are available now by calling 304-344-BATS or visiting wvpower.com.